When planning to buy in bulk, your first stop should be your local supermarket to find out how much they are charging per unit for the stock you are interested in. This will help when you do finally shop at a bulk store, because through your research you will be able to compare prices immediately. It is important to note that just because you are at a bulk store doesn’t always mean you are getting a better deal, but knowing the cost of an item per unit will open your eyes to what is and isn't a good deal. On the positive side, as a business owner you could be eligible for special discounts and deals offered to traders by the wholesalers. Chris Hajibey, owner of Bara Rank Wholesaler, one of the biggest liquor wholesalers in Soweto says traders buying in bulk save up to 4% on their costs, compared to when they buy per unit. Chris also says that for an additional R60, his company will deliver in and around Soweto. 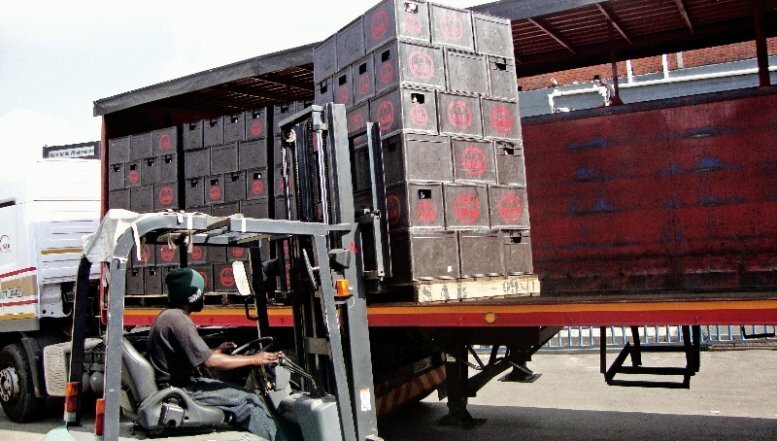 “The R60 transport fee doesn’t really affect the buyer’s savings because if they had their own transportation, they would also have to hire people to load stock in and out of the truck, which is a cost. When we transport stock for them, we use our staff, which is included in the R60. Bara Rank Wholesaler’s clients include taverns, shebeens, bars, restaurants and they also supply big events in stadia and to all the Premier Soccer League games in Soweto. Hajibey says they have special discount prices for their regular bulk buying clients and they also offer credit. Jabu Mbekwa, a local liquor trader in Soweto says that he has been buying his stock in bulk since last year and that it has helped him to cope with high demand from customers. 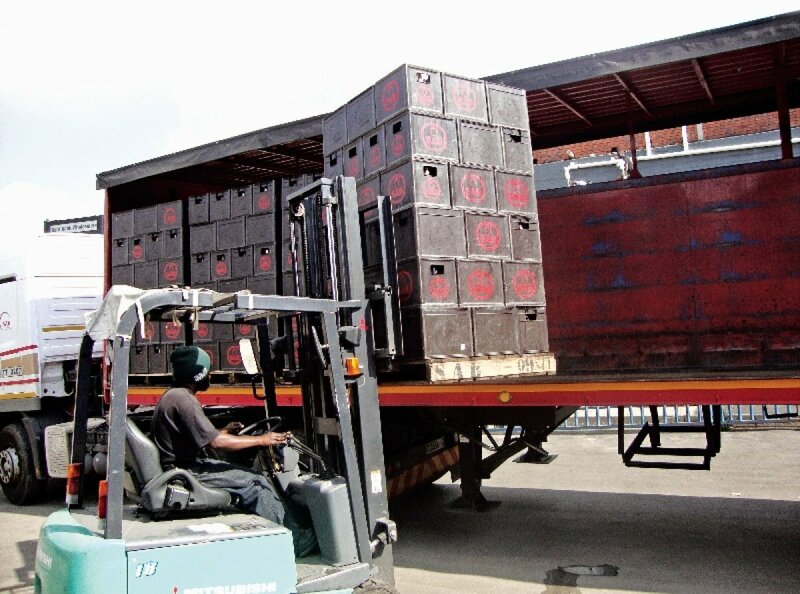 Mbekwa says he sells more than 132 cases of beer per day and he also buys stock to distribute to other, smaller taverns and shebeens. Mbekwa advises traders to first look at the demand in the market before they decide whether to buy in bulk or not. He says if the business is not busy there is no need to buy in bulk because the stock will take longer to sell out. Statistics South Africa’s latest data shows that wholesale trade sales at constant prices increased by 6.1% year on year in December, after slowing down to 5.8% in November 2011. The increase in wholesale sales in December is in line with the impressive acceleration in domestic aggregate consumption, as demonstrated by the rise in retail sales, which increased by 8.7% year on year. This is further illustrated by the fact that the year on year growth in wholesale trade sales of industries linked to consumer spending increased in December, performed particularly well. The growth in other household goods increased fairly significantly by 12.0% year on year, albeit lower than the 20.2% recorded in November 2011, while the growth in wholesale trade sales of food, beverages and tobacco increased fairly significantly to 2.8% from 1.4% in November 2011. Cost: Bulk buying is based on the assumption that per unit cost of items decreases as the quantity of items purchased increases. In many bulk buying scenarios, the equation holds true — but not always. You will save money by purchasing a larger package of certain items but sometimes you might be surprised to learn that bulk retailers and wholesalers don't discount the bulk price on some items. In fact, occasionally the per unit bulk price may actually be higher than the normal price! The only way to know for sure is to do your own research. Compare items per unit prices of identical products and decide whether buying the product in bulk is actually less expensive or not. Another thing you have to take into consideration when buying in bulk is storage. If you don't have space to store the products you buy, then bulk buying is probably not a viable option for your business. Likewise, when buying perishable goods you need to be confident that you will sell the products before they expire. The money you save by purchasing in bulk will all be lost if you have to throw the products away before you sell them. If you buy in bulk, you will invariably sacrifice in the variety department. Frequently, your choices in bulk products will be fewer than the number of options available when you purchase in normal quantities. For some buyers, variety isn't a big deal. But for other buyers, variety and quality are critical. That's why it's important to assess your purchasing priorities before making any bulk purchasing decision. Saving money is a great motivator. Sometimes it can be a little too great; especially if it causes you to buy things you don't need solely because the price was right or less. Too many small business owners have storage closets full of things they'll never consume, simply because they couldn't pass up a good deal. If you don't need it, don't buy it!